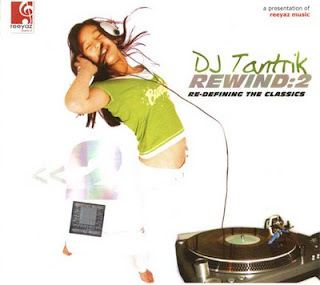 Rewind has set the base for great remixes and now is the time for its sequel Rewind: 2 by DJ Tantrik. In this ear where remix albums are mushrooming like anything we got a chance to review Rewind : 2. The video of “Kun Desh Ki Chari” vocalized by Suman Shrestha original song by Hikmat B. Mali is out and gathering rave reviews from all the music lovers. The cover portrays a young girl being mesmerized by remixed music I guess. The color theme of green, white and gray adopted by designers at “Colors” is just right to build the interest about he album to any buyer. Now let’s dig into what the remix tracks have to offer where the album tag line says “Re-Defining the classics”. The album kicks off with the very popular track of the massively successful movie Darpan Chhayan titled “Lahana Le”, originally sung by Sadhana Sargam now it’s crooned gracefully by Indira Joshi.DJ Tantrik Starting beats gets you started to shake a leg, the composition of the songs is amazing but now the new arrangements also deserve an applaud. The next track is a real classic by Danny Dengzongpa “Hiun Bhanda Chiso”, for the remix CWA has lest his voice featuring Manas. The emotions of this masterpiece have been kept intact but the Rap seems a little unsynchronized in this song. The percussion and use of piano in the background makes the songs good for some listens. 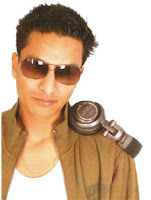 Subsequently a groovy number hits the speakers, “Tungna Ko Dhunma” originally by Indrajeet Mijar, this time the remix has been vocalized by Yubraj Chaulagain. The arrangements are very upbeat and encourage you to boogie. Lyric of this song is also formidable. After that, “Kundesh ki chari” is included to rock you, originally sung by Hikmat B. Malla now it has been crooned in an impressive fashion by Suman Shrestha. The arrangement has some Bebot feel by the Black Eyed peas in the initial stages. As the song progresses it has the punch to knock you down. The lyrics are impeccable and singer Suman has also done justice to the arrangements by the DJ. The use of flute in between changes makes this 4/4/ beat songs stand out of the rest. Next track was originally sung by Nepal’s King of Pop himself “Ko Ho tyo”, when Om Bikram Bista sung this sung its sent shock waves to the nation now it has been vocalized by Indira Joshi and Parallel Shadows. The percussions do not leave your mind wonder away from the song, lyrics are remarkable and the signer has also done an awesome job. The unneeded English lyric attached in between does not seem inline with the song’s original feel. At track 6, the controversial “Mai Chhori” is here to stay, originally sung by Bharati Upadhyaya this astounding composition has been crooned in a distinctive fashion by Chanda Lama and Sujata Upadhyaya. Percussion, beat matching and the tango element in the album will make this a dance floor hit and also make you want to shake a leg. After it, originally sung by Prakash Shrestha and Bimala Rai “Kanchi ho Kanchi” is all set to captivate your senses. The remix has been vocalized effortlessly by Suresh and Bobita Manandhar this time in the remix and rap lyric has been uttered by Parallel Shadows. The USP of the arrangement is the harmonium and other earthy instruments which keeps the feel of the original in place. Consequently Mausami Gurung and DJ LX try to match up with Bhuwan KC and Tara Thapa in “Ma Roop Hun” originally composition by every popular music director Sambhujeet Baskota. Here also some initial feel of an English RnB song can be felt but as the songs progresses the heavy beats and oh oh in the background take over. Next number is titled “Ecstasy” dedicated to Lord Shiva so what does Tantrikal happiness have, it has progressive beats and ecstasy in relevant loop. The blend of synthetic sound with conventional instruments like tabla and Sitar proves that the DJ has a good sense of beat matching and beat mixing. The song has an overall dance charm attached to it. Last but not the least, the compilation has a blended remix of “Come As you are” by Guns and Roses and Saal ko pat in “Come As you are Vs Saal Ko Paat”, this instrumental track with the mix of again synthetic sounds and conventional instruments hits that the DJ also wants to try his hand in fusion. All in all, the album is a very dance floor friendly album with some tracks that will surely rock the dance floor in days to come. If you like the current remix trend then you must go and buy this compilation. It has all the masala you wish to get from a remix album. All the tracks can be put as your mobile’s CRBT if you use NTC mobile service. The album has been mixed and produced at Studio Parivartan. When you buy and listen to the songs you will not be disappointed.